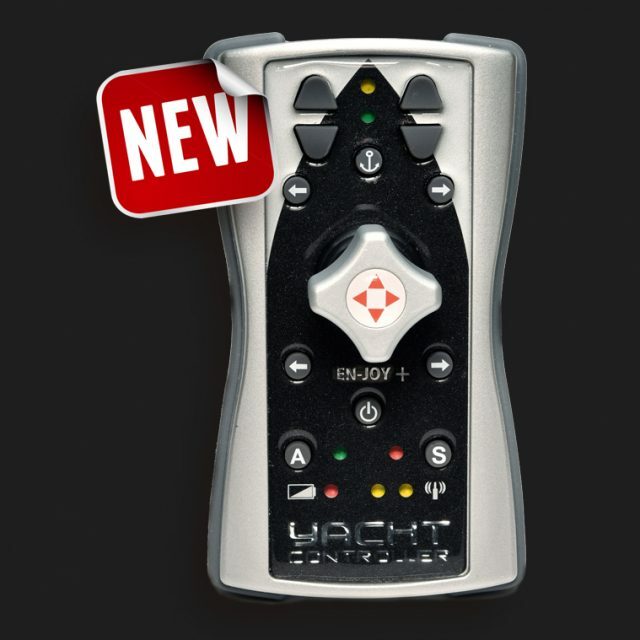 The YACHT CONTROLLER EN-JOY Plus has a new revolutionary 3 axis joystick that can manage movements in all directions, as well as boat rotation, with buttons also providing individual control of thrusters and up to 2 anchor winches. 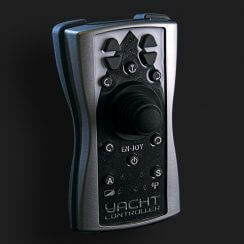 The three-axis joystick knob is specifically designed to ensure a good grip. 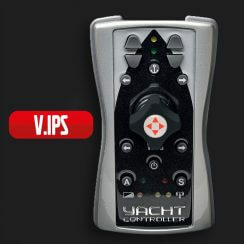 The YACHT CONTROLLER EN-JOY Plus, like the others YACHT CONTROLLER wireless transmitters, is provided with two different transmission bands to avoid any interference caused by the presence of equipment nearby. Two flashing LEDs on the front of the transmitter indicate the simultaneous transmission of the two control signals on both bands. If there is any interference or operating faults on one of the two bands, the receiver automatically continues receiving on the other. The transmitter and receiver also communicate using a coded protocol to exclude any interference with other similar equipment installed nearby. The small size of the transmitter means that it can be carried by hand or worn around the neck as preferred. 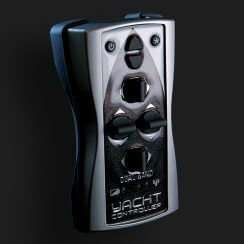 The transmitter has an on/off /engage button that, with the receiver on, allows control to be taken for mooring. 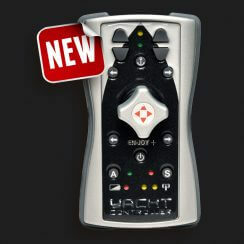 The receiver controls are activated using the joystick and buttons on the transmitter, which cyclically communicates the state of the controls to the receiver. 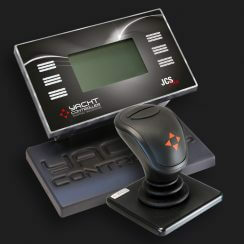 The control output continues for as long as the joystick is activated or one of the buttons is pressed. 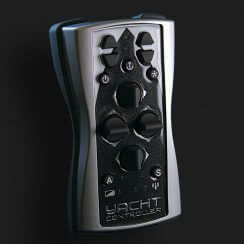 The transmitter is resistant to immersion in water and floats. The transmitter has a rechargeable 3.7 V lithium polymer battery. The internal transmitter battery can be charged wirelessly using the charger provided. To recharge, simply put the transmitter on the charger base.